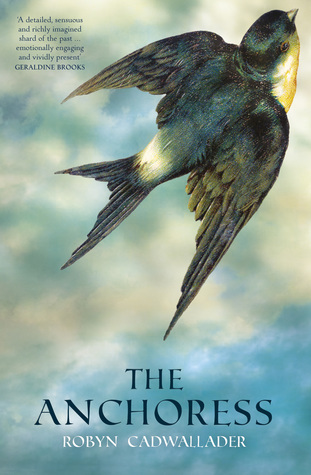 If The Anchoress by Robyn Cadwallader isn’t already on your radar, it should be. Told in exquisite prose, it’s ostensibly the story of Sarah, a medieval nun who, at the age of 17, locks herself away from the world in a tomb-like room to pray; but it’s much more than that. It’s a tale of grief as Sarah comes to terms with the loss of both her mother and sister in childbirth. It’s a narrative of gender politics, as she negotiates her weekly interaction with her father confessor, Ranaulf; fends off the unwanted advances of the local feudal lord, Sir Thomas; and bears witness to the scars inflicted on village women who have little power in a patriarchal, church-dominated world. It’s also a story about art and its possibility of liberation and redemption, whether it’s the art of the illuminated manuscripts that Ranaulf works on, or the art of living, of attuning to the least sensory inputs, the sounds, smells and glimpses of Sarah’s rural medieval world. This is the standout achievement of this book, for me: the novel, while beginning as a tale of deprivation and renunciation, ends up celebrating the very embodied world Sarah was determined to reject. The Anchoress has already been extensively reviewed for the Australian Women Writers challenge, making it, I’d hazard, one of the challenge’s most popular books so far for 2015. I wouldn’t be surprised if it’s a front-runner for this year’s Stella Prize.